When selling their home, what most people think about is the money they will make. However, what they often forget is the costs they will need to pay out to actually sell and then move. In fact, such expenditure can amount to quite a bit of money. Although, there are strategies you can use to keep them to a minimum. A topic you can read more about in the post below. Everybody knows that to sell a property it needs to be in excellent decorative condition. Of course, this then creates a bit of a problem for folks whose homes aren’t up to scratch when they want to put them on the market, but that also don’t have a vast budget for decoration. Happily, there is a relatively simple if slightly more time-consuming way around this, and it’s simple to do the work yourself. In fact, painting walls, hanging wallpaper and doing other general decorative work can cost a fortune if you choose to have someone come in and do it for you. However, with a simple google, or search on Youtube, you can find a step by step guide on just about how to do anything at all. Of course, this doesn’t mean that DIY decoration is free, as you will have to pay for the equipment and resources that you will need. It is also likely to take longer and cause more disruption to your day to day life while such jobs are being done. However, this is a trade-off that many people are willing to make to ensure that they keep decorating costs to a minimum when they are looking to sell their home. The DIY approach is also well worth trying when it comes to repairs as well. Although, this does come with a proviso that you only attempt work that you are confident in doing, and can do safely. In fact, anything that concerns water, plumbing, electric, or the structural integrity of your home is worth getting professional in to do. Not only because they will do a better job, and so add value to your property, but also because you could be endangering your personal safety as well. Of course, there is an alternative option, and it’s finding a house buying company to purchase your property without the need to perform any large scale repairs. In fact, by doing this, you can save a significant amount on the cost of major repairs, as well as help your home purchase to go through as quickly as possible. Something that for many people can make using a buying service a double win. Next, if you have a home on the market and are looking to reduce the costs involved with this, it may be time to look at what your agent is charging you. In fact, many traditional real estate agents work out their fee on a percentage of the selling price of your home, something that means you can lose up to 10% once the sale has gone through. To that end, it may be worth looking at alternative ways of selling your home, one of which is to use an online-only agent. The difference here is that they don’t have any office overheads to pay out and so can afford to charge less once the sale has gone through. In fact, you will find that many online-only agents charge a fixed price no matter the final sale amount that your property reaches. Something that can make this an especially wise economic decision for owners whose home are at the higher end of the price spectrum. There is also another alternative to consider when it comes to reducing your agent’s cost when selling a home and that is to do without one altogether. What this means is opting for a private sale, where you sell directly to the other party involved. Of course, doing so means that you won’t have the support of an agent in finding a buyer, or in moderating the sales process. Something that means if you are unfamiliar with the procedures involved you may be left vulnerable to mistakes and problems. Of course, even when selling privately, you will still need to involve an attorney to ensure that everything stands legally when you are done. Therefore you will still have this cost to consider. Talking of legal costs, this can be one of the most significant and most unexpected fees that those selling their home have to pay. In fact, most people can expect to spend at least 2-4% of the selling price on this. Happily, there are some ways to minimize this cost, and one is to wait until it is a seller’s market until you sell your home. This being something that will ensure that the buyer has less leverage to insist that you pay these fees. Additionally, if you do find yourself in a position to pay legal fees when selling, it’s always better to find an attorney that is not based in a large or capital city. The reason is that their rates are likely to be much smaller, meaning you can make a substantial saving on this part of selling your home. Sadly, the costs involved don’t stop when you have actually sold your house, as you will also need to pay a removal team to take the contents from your old property to your new one as well. That is unless you can find a way around this such as hiring a van and doing the moving yourself. Of course, by doing so you will make moving day a lot more hard work, and you also open yourself up to issues of insurance if anything is damaged or broken on the journey to the new place. However, with massive saving to be made here, and still further costs to be considered such as mail forwarding and new furniture when you get to your new home, it may well be worth the tradeoff to keep your expenses to a minimum. Flooring gets put through the ringer. Whether it is the floor of your garage or commercial building, floors receive a lot of wear and tear. Finding a flooring solution that has the strength and durability to withstand spills and heavy loads can be difficult. When selecting a flooring option for your space, it is important to choose a solution that will stand the test of time, provide a barrier from moisture, and will be long-lasting. Epoxy floor coatings are a great option for giving your floors the shiny appealing aesthetic you want without sacrificing durability. Specifically, epoxy works well on concrete floors that are high trafficked and exposed to harsh conditions. Epoxy is a type of sealant primarily used for concrete floors. This durable material is composed of two key components that give it its strength- a polyepoxide resin and curative. Before an epoxy coating is applied to the floor, these two parts are mixed together which gives this material its strong qualities. The mixing causes the resin and curative to chemically bond to one another. When this coat is applied, it then bonds to the floor. The result is a strong and durable coating that won’t chip or peel from the surface of the floor. As epoxy is an extremely durable material, epoxy coatings are most commonly used to protect floors that experience high traffic. Many industries make use of this strong sealant in their manufacturing plants and facilities to protect against exposure and give their floors a longer life. Although epoxy coatings are primarily used in industrial spaces, this material can also be used to protect other areas of high traffic. Garages, walkways, and ceilings can benefit from epoxy treatments. There are many benefits that come with epoxy floors. The smooth and shiny surface epoxy creates is aesthetically pleasing and easy to clean; these coatings make your floor look bright and professional. The cost to epoxy floor is hard to beat and provides a durable surface that is resistant to the bacteria, chemicals, and fluids that floors are exposed to in industrial settings. As long as the floor coating is properly installed and maintained, the lifespan of your floors will be much longer with this durable and strong coat. Floors receive exposure to a lot of damaging effects; they take the brunt of spills, constant use, and heavy loads. It is important to use a flooring system that has the durability and resistance to protect against these damaging agents. Epoxy is a great option for giving your floors a shiny aesthetic and protective layer. When we come to list our homes on the open market, we might assume that they will fly. Your open house day should be jam-packed, potential buyers should be entering into a bidding war to pick up your piece of prime real estate, and you should be batting them away left, right and center. However, more often than not this simply doesn’t happen. Why? Because we think of our humble abodes in a highly subjective way. We have adored the pink flamingo wallpaper and bright teal hallway for a decade so why wouldn’t anybody else? Instead, you need to sell your home by imagining yourself as a buyer. Take a look at how you can sell your house fast by following these three simple steps. Hundreds of real estate agents will be vying for your business. While you might be tempted to go for the guy or company who takes the least commission, this can be a false economy. Sure, he won’t take as much cash out of your sales price, but if your home is on the market for an extra six months, this means extra home loan repayments which negate the very reason why you chose the guy. Opt for a professional outfit that has a solid reputation in your area. Companies like William Pitt have a varied portfolio of properties, and the chances are yours could fit right in. As well as a real estate agent, you need the services of a top quality property lawyer to navigate the legalities of selling your home. While it may seem counterintuitive to decorate your home as you are planning to wave goodbye to it, a quick lick of white or magnolia paint to cover up the highly personalized purples and yellows can work wonders. Instead of a colorful abode, your buyers will be greeted by a sleek and modern pad ready for them to make their own mark on. Dress your home appropriately with decent furnishings. If your money won’t stretch to purchasing a new sofa for the living room, hire one. Dressing your home will help seduce your buyers with a lifestyle. At the same time, you need to show off the space and airiness of your pad. Don’t leave untold amounts of clutter adorning every orifice of your rooms. This gives the impression that your home is poky and that they would outgrow it. Never say you are leaving because you need a bigger place. It always rings alarm bells in a buyer. For a few hundred dollars you can revolutionize the facade of your home. Clean the windows, paint the front door, off the lawn and weed the driveway. Put out a few colorful pots of foliage and create a welcoming atmosphere for your viewers. The chances are they will make their mind up about your home as they walk up to your drive. Forget seeing your home languishing on the market and follow this guide to see your home sell fast. One of the easiest places in your home to remodel is the bathroom. With just a few simple changes, you can upgrade your bathroom into a luxurious retreat that any spa would envy. Bathroom remodeling does not have to be stressful, and with the right team on your side, you can have an efficient and headache-free renovation to your home. 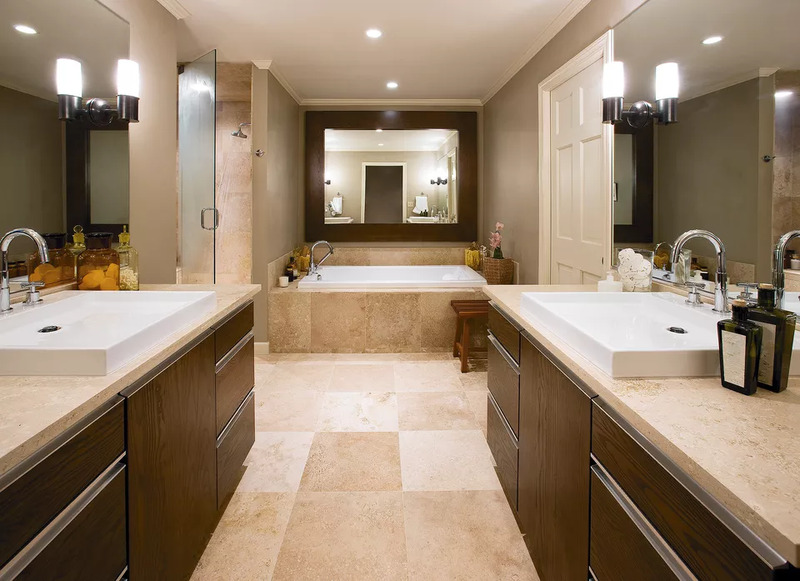 Bathroom remodel Albuquerque is a great way to increase the value of your home while providing you and your family with a safe and attractive bathroom that everyone can enjoy. Adding a new bathtub or vanity can make all the difference to your bathroom. Changing to a larger, more luxurious bathtub can make you look forward to coming home and taking a long, hot bath. A new vanity top can change the entire look of your bathroom, as can updating faucets and light fixtures. Subtle changes can make a big impact to the overall feel of the remodel. If you want to make a big change, a new walk-in tile shower is sure to be something you will enjoy, as well as making your home more accessible when you are older. Tearing out your old flooring and replacing it with a modern update can freshen your bathroom’s style to the point that it is unrecognizable. The best types of floor covering for a bathroom include tile, laminate, vinyl, and engineered hardwood. Many of these options are quite affordable and long-lasting. Steer away from options that retain too much moisture, such as carpet or natural hardwood flooring. Instead, choose flooring that is moisture-repellent and can easily be cleaned. If your bathroom walls are lackluster or boring, you can do a few simple things to brighten them. Consider a decorative tile back-splash or a fun new paint color. Updating this simple and often overlooked part of your bathroom will make a bold statement that will give your bathroom what it currently might be lacking. Bathroom remodeling may sound like a daunting task to you at first, but with professional service with expert advice on your side, you can have your dream spa-like bathroom to enjoy for years to come. If you have been afraid to take the plunge to update your home in the past, now is a great time to start fresh; the bathroom is an easy and fun place to start. Three Ways to Organize Your Tools If you’re like most homeowners, you have a collection of tools you look to whenever a repair is needed around the house. Or, maybe you use your collection of tools to work on DIY projects. You probably own several screwdrivers, wrenches, hammers and pliers along with nails, screws, etc. It’s a good idea to have a nice collection of tools, but it can be challenging to keep it organized. Check out three easy ways to organize your tools. Store Tools by Size Homeowners with garage storage cabinet systems find it very easy to organize tools by size. As an example, if you have several number two screwdrivers, then you would store them together in one area of a cabinet. If you have four number three screwdrivers, you’d store them together in another part of the cabinet. Of course, you would sort the screwdrivers by type as well. Keep all of the Phillips head screwdrivers together and all the flat-head types together. Organizing in this way allows you to find exactly what you need right away for the repair or project you’re working on. Prioritize Tools You Use the Most There’s a good chance you use some tools more than others. You may find that you use your needle-nose pliers for a lot of repairs around the house. If so, when organizing your tools, put your needle-nose pliers front and center in the cabinet or drawer. That way, you don’t have to search for tools you use on a regular basis. Alternatively, if you have a basin wrench that you rarely use, keep it near the back of the cabinet so it’s secure and doesn’t get in the way of tools you use more often. Keep the Same Types of Tools Together Do you know any friends who simply throw their tools in a box or chest without any type of organization? In short, they have a drawer of miscellaneous tools that they have to search through every time they need one. It’s a good idea to organize your tool cabinet by keeping the same types of tools together. Put all of your hammers in one area and all of your wrenches in another. This will make the process of finding a tool a lot quicker. Lastly, organizing your tools can make any project more enjoyable. You can spend more time repairing an appliance or putting up a new front door and less time searching for the right tool in your toolbox or cabinet. Plus, if another family member needs a tool from your collection, he or she will be able to find it without a problem. Maybe you’ve heard about bamboo bed sheets. And maybe you’ve also heard about all the benefits of bamboo sheets, i.e. they’re softer than cotton, thermal-regulating, moisture-wicking and naturally antimicrobial. Whether you knew this or not (now you do), you still may not know what exactly you should look for when buying your first set of bamboo sheets. All bamboo sheets come from bamboo plants. But, they’re not all equally made. The different manufacturing processes yield different materials and weave; some superior to others. Viscose from bamboo provides numerous benefits, to its users and the environment. Besides being ultra soft, yet still very durable, viscose from bamboo bed sheets also offer silky sleep environments and comfortable sleep environment temperatures (think warm during the winter and cool during the summer). Most are even resistant to most stains and dust mites. Just double check that the manufacturer followed stringent effluent treatment protocols if that matters to you. Another popular bamboo material type, bamboo lyocell is not only highly sustainable, but it’s also a strong material and no harmful chemicals are used during the manufacturing process. And it is soft, but some think bamboo lyocell isn’t quite as soft as sheets made of 100% bamboo viscose. While a very sustainable choice, this material type isn’t as soft as the previously mentioned bamboo materials and tends to wrinkle more easily, meaning you’d potentially have to iron it after washing (no thank you). When bamboo is blended with cotton (usually 60/40 or 70/30), you get blended benefits of both materials. You also get a little stronger fabric. But, this blended material is also not as soft as sheets purely made from bamboo. The cotton production also involves more chemicals that can cause skin sensitivities. Bamboo bed sheets can also be differentiated by their weave, which affects how the bamboo fabric feels and looks. The two common weave types are twill and sateen. Twill is a standard weave pattern that’s tight, short and fine. It’s sturdier than bamboo sateen but not as soft, although it’s still softer than a bamboo/cotton blend or plain cotton sheets. Sateen’s weave follows a one-yard under and three yarns over weave pattern. It provides more of a shiny finish, higher thread count and silky, smooth feel. But sateen is also a little more delicate and often more expensive because it takes longer to weave. So before buying, read the label to make sure you get the material and weave you want. Labels tell you a lot about bamboo sheets. Salespeople and a company’s website can as well. But if you want the whole truth about a set of bamboo bed sheets—how they really feel and hold up—look up and read Cariloha bamboo sheets reviews and other brands you’re looking into. But also, take some reviews with a grain of salt. Some online reviewers, like many critics, simply like to find whatever negatives they can and others might not have followed the sheets care instructions, which could have affected how their sheets functioned after washing them. If the retailer offers a good warranty, it’s a safe bet that those bamboo bed sheets are high quality. If the retailer doesn’t offer a satisfaction guarantee or warranty, then they probably aren’t confident in the quality of that product—and you shouldn’t be either. As a homeowner, there are plenty of practical emergencies that you can be forced to deal with. The trick is to make sure that you’re always prepared for those kinds of instances and understand what it takes to overcome them. There are lots of ways for you to prepare for potential problems as a homeowner, and you can learn more about how you can do that now by reading on. It’s important to make sure you’re stocked up on any of the things you might need should something go wrong in the home. Having something to plug a leaking pipe with or to tighten a bolt or whatever you might need to do is key. A torch is necessary for power cuts, and having a first aid kit in your home is a must in case someone gets hurt and needs immediate attention. It’s a good idea to have some basic DIY skills in place so that you can carry out some basic repairs in the event of a problem arising in your home. If you don’t do this, you will run the risk of being in a situation, no knowing what to do and not being able to find anyone to help you. Even if there is help nearby, being able to take care of minor issues is a bonus. Understanding what’s likely to be behind the practical problems you’re experiencing in the home is essential. If you can use your knowledge of your home to locate the source of that weird sound or some dripping water, you will be in a much better position to cope with the problem and fix it fast and competently. When something goes badly wrong in your home, you need to turn to people who know how to fix things if you don’t know how to. Find service providers that you believe you can trust now so that you can call on them in the future if you ever need to. It’s especially important to have a 24 hour AC repair company to call upon. Start preparing now so you can act fast in the future. Having a reliable backup generator in place is one of the things you can do to make sure that you’re always prepared for whatever might happen in your home. If the electricity cuts out and it’s dark, it can be pretty frightening for your family. Knowing that you have a generator to keep things ticking over until the problem is fixed can be a pretty big relief. When you have a practical emergency in the home, it can be frustrating and stressful. But the frustration and the stress will certainly be reduced if you prepare in the ways described above. The best time to start making these preparations in your home is now, so what are you waiting for? Home is where the heart is- it’s where our most cherished family members live, our pets and all of the possessions that we’ve worked so hard to achieve. So the thought of an intruder coming in is always going to be a worrying one. Here are five proven ways to keep your home safe and secure. A professionally installed burglar alarm is a must for any home. It gives you pretty much full peace of mind because even if an intruder manages to get inside, they just won’t stick around with an alarm going off. With them being so loud they draw a lot of attention, and the majority of criminals are opportunistic. They break into the house on the street that’s the easiest, and a burglar alarm makes yours much more difficult. Even having a sign outside stating that your house is alarmed can act as a deterrent within itself in many cases. If you live in a particularly high-risk area, it can be worth signing up to a burglar alarm plan. Here you will pay a monthly fee, but if your alarm is triggered when the company will dispatch a police car. It’s also worth getting friendly with your neighbors, let them know that if the alarm goes off (and they can’t see you around) to call the police. Getting friendly with your neighbors in general and agreeing to keep an eye out for each other’s homes is never a bad thing too. CCTV works as a deterrent, and also allows you to identify criminals if any crimes do end up being committed and the case goes to court. As well as covering your home, CCTV can also capture video of your driveway, garage and outside meaning your vehicles are covered too. If you’ve been considering investing in a CCTV system, get some more info online about the best one to choose. The camera needs to be high quality, as well as have a good night function for capturing footage in the dark. The police and courts won’t entertain footage that’s grainy or blurry, so it doesn’t make sense to choose the cheapest system out there. Research shows that CCTV cameras have some of the biggest deterrent effects when it comes to pre-planned crime, those looking to specifically target your house are likely to be put off. CCTV cameras should be placed high up, in locations that can’t be covered or cut. Make sure the footage backs up to the cloud too, this prevents a burglar breaking in and simply stealing the hard drive. Older models of doors and windows are weaker, they’re easier to be kicked or forced in so aren’t great from a security perspective. Not only will newer models be more energy efficient but they’ll also be better for keeping your home safe. Things like window panels indoors are now completely reinforced- new styles of locks and frames make it almost impossible for a regular criminal to kick in. But what’s even more important to remember, is that it doesn’t matter how good your windows and doors are- they provide no security when they’re left open! Create a system that you follow every time you leave the house, which involves checking the windows and locking the doors. Do this every time you go out, even if it’s only for a few minutes. The average burglar is in a home for less than ten minutes, it doesn’t take long for them to cause absolute havoc and leave with all of your worldly possessions. So don’t take the risk, it takes seconds to check the house and lock the doors. Smart home has really snowballed in the last few years and is something we can expect see getting bigger and better. At the moment it’s a lot of fun and feels very novel and futuristic, however, it’s something that can be incredibly practical too. From a home security perspective, there are lots of ways we can utilize this technology to keep our properties safe. One thing a burglar will do before breaking into a home is to scope out the outside, they’re looking to see if it’s occupied or empty. Because an occupied property presents so much risk of being caught, most burglars won’t even attempt it. Therefore, you can avoid getting broken into in most cases, just by either being home or making it look like you are. Smart home products sync up to your phone, meaning you can control them from anywhere in the world. You can turn on your tv, close your blinds, turn lights on and off and other appliances without even needing to be in or near the house. In years gone by, people would leave a lamp on if they were going out overnight. The problem with this is if your house is getting scoped out, come 3/4am and that lamp is still on, it’s a clue that someone might not be home after all. When you are at home, you can control these appliances with your voice, using a voice-activated speaker such as Amazon’s Echo or Google’s Google Home devices. So you have the benefit of operating them hands-free. With all of the following methods executed, your home is unlikely to become a target of burglary. However, a final step you can take is to lock away your valuables. Important documents, family heirlooms, and priceless cherished items can all be put away. Find somewhere hidden to keep them safe, and then bolt it down to the ground. This stops a criminal from simply being able to walk off with it. Installed in walls, under floors, and in cupboards are all good locations. Choose a good quality model which is sturdy and has excellent reviews. With Christmas around the corner and lots of valuables in the home, now is an extremely important time to be thinking about home security. Is it something you’ve considered? Dare we say that Christmas is just around the corner? October is now upon us and before we know it, we’ll be bustling from store to store trying to get the gifts that everyone wants for Christmas. During the festive season, people generally like to get together and spend their time with those closest to them, and if you’re hosting this year for your family and friends, it’s understandable that you want your home in tip-top shape ready for your guests. Take a look at these quick home improvement tips just in time for the festive period. It’s unlikely that you’ll be spending long periods of time outside during the winter season. However, giving your home a cozier look and more curb appeal will give your guests the warm greeting that you’re after. Fairy lights are perfect for lighting up walkways to your home, and having a welcoming entrance area to your home will make the world of difference. Thick and heavy curtains with cozy lighting are the perfect way of telling your guests that they can relax in your home! The kitchen is often the center of a home when it comes to entertaining guests. Whether you’re cooking a sit-down meal or simply offering nibbles for your guests, it’s likely that they are going to be spending a significant amount of time in your kitchen. That’s why now is the time to spruce up your kitchen so that you can show off your home to your friends and family. Whether your kitchen is in need of a large renovation, or simply a few improvements, you should check out https://kitchensacramento.com/remodeling/ for some ideas on renovation projects for your kitchen! We know you’ll have the heating on and the fire lit this winter, but you can add warmth to your home in other ways. Draping fleecy throws over your couches and scattering cushions will make your home much more welcoming, as well as giving people the option to cover up and snuggle up. Think about the colors you’re using too. Warmer colors such as red, orange, purple, and anything in between can really help make a room feel and look warmer. Finally, the type of lighting that you’re using around your home can make the world of difference too. Harsh main lights are great for seeing things, but in the festive period, it’s likely that you want to snuggle down with those closest to you and enjoy some good company, good food, and good entertainment. Dot some laps around your home to create a softer and more homely light! Plus, isn’t everyone usually sleepy after a long day in the winter time? Houston is a beautiful city and a wonderful place to live but like many places, it has to contend with the adverse effects of mother nature from time to time. Hurricanes have impacted the Gulf region before and it will do so again. This brings high winds and flooding which has in the past had a severe impact on the city of Houston. If you are a resident there, then you should be aware of a few things that should be done if a hurricane is headed your way. Storms by their very nature can be both unpredictable and powerful. This uncertainty requires that you take the necessary precautions and plan for a worst-case scenario. Even though you may plan to ride out a storm, it is wise to always have a plan to evacuate if the need arises. High winds and storm surge can make things dangerous quickly, so having a plan to evacuate pre-planed reduces the risk to you and your family. Whether you choose to ride out the storm or evacuate, gathering supplies before the storm arrives is a must. If you choose to stay, high winds and flooding may isolate you in your home. Venturing out to gather supplies impossible, so doing so ahead of the storm’s arrival is best to ensure that you have the things necessary to survive. Items such as water, batteries, non-perishable food and medical kits are a must. Having these things are also a benefit should you choose to leave. Preparation can keep you and your loved ones safe, but your home can still be impacted and damaged by the storm. High winds can cause structural damage and flooding can physically damage your home or cause deadly mold. It is wise to plan and learn where to go for Water Damage Restoration Houston and home repair. Having a plan for this can get your life back to a sense of normalcy quicker. As soon as we say goodbye to summer and welcome in the autumn and winter seasons, there is a huge shift in our moods and the way we want to live our lives. 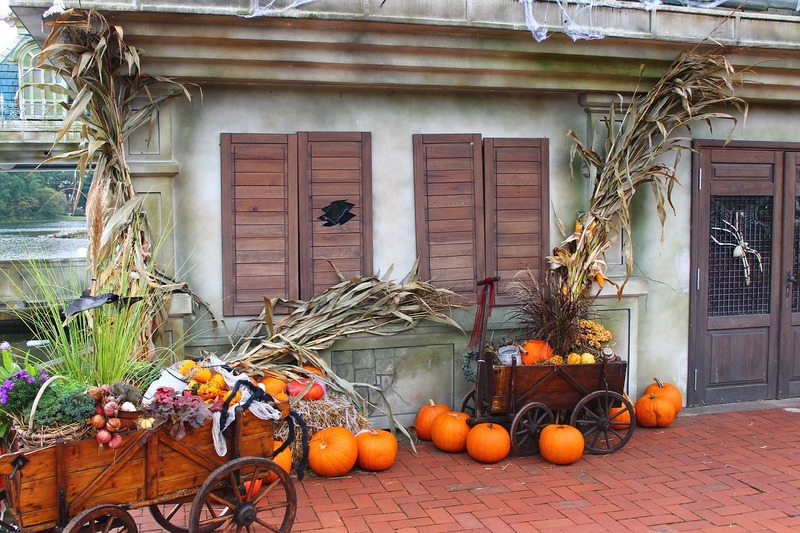 Autumn and winter might be the coldest seasons of the year but they are also the most celebratory, and over the next few months people will be having celebrations for Halloween, Thanksgiving, Christmas and a whole lot more. 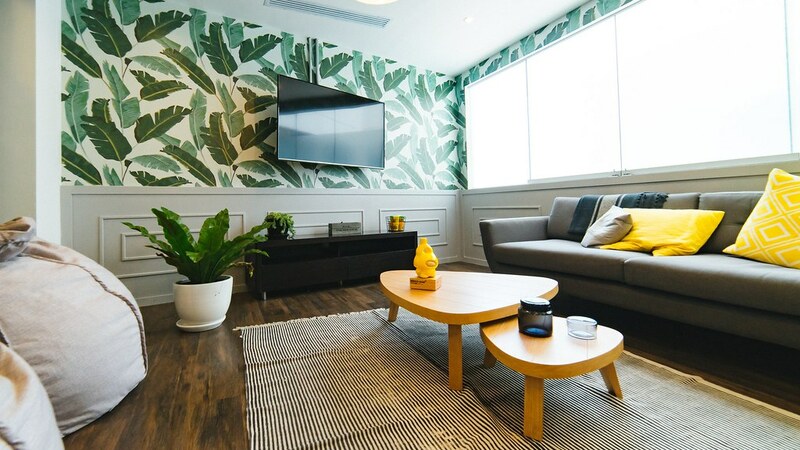 So, now that we have hit the official party season of the year, here are some of the things you can do to prepare your apartment including apartment cleaning service for it. The first and most important thing you want to do with the house during this season when preparing for celebration is to make it feel welcoming and homely. The first way you can do this is by setting up the entryway to make it feel ultra cozy and magical as soon as people walk in through the door. You can decorate the stairs with leaf garlands and fairy lights, bring a candle into the foyer of the home for light and smell, and make sure that the whole entry area is free of clutter and mess. Have some fun and look for inspiration on Pinterest to help you find the ideal design to make for your festive wreath. The first garden is the first thing people will see when they look to approach the house and therefore it is the first impression that people will have of your home. Because of this, it is important to make sure space is tidy, has some color and is festive for the season. You can buy candy cane solar lights to place in the lawn on the way up to the house, you can plant winterberry bushes for color, and you can place a hanging basket by the door for a little extra something. The exterior of the house is something we rarely look at because we are usually inside the house most of the time, but it is incredibly important for us to keep the exterior looking great. You can replace broken roof tiles, look at a top rated replacement window installer for the front windows and even get a new front door if you are getting a little tired of the one you have got. All of these things will have a huge impact on the house and how it welcomes its guests. If you want to make your house smell great in time for people visiting you this autumn and winter, there are two things that you can do. First of all, you could simply light a few scented candles which have warming spices like cinnamon and ginger which will fit the tone of the house and make it feel amazing. The other thing you can do is bake a batch of cookies. They could be chocolate, ginger or something else but the smell will immediately permeate the house and make it smell fabulous, and the plus side to this is you have cookies to eat for yourself and for the guests later! Garlands are a really simple way to bring a sense of style to the house and they are often the ideal thing to add to a room which has a blank wall space or needs something adorning the fireplace. You can have fun making a few different types of garland such as an autumn leaf garland, a pine cone garland and even a winter berry one. There are lots of ideas so have a look and see which ones you fancy creating this week. The magic of a home is the idea of having lots of light and character all over the space, and when it comes to magic for the winter there is nothing better than twinkling fairy lights. You can buy battery powered fairy lights almost anywhere these days and you can find loads of different styles and shapes to fit the season and the occasion. If you hang a few sets around the house this will be ideal and it will give you and your guests a feeling of being somewhere other than your plane home. If you fancy redecorating for the colder seasons of the year and you are looking forward to bringing a new color scheme into the house, you can opt for a deep warm color on the wall to make everyone in the house feel warm and cozy all month long. Colors such as orange, red and purple are ideal for this time of the year and they will compliment all of the other decors you have in and around the house too. Every home needs a touch of personality and you can really let it out during the party season to make conversation starters with your guests. One of the things to can do is change the artwork you have on the wall and make it feel more Christmas and autumn oriented. If you have picture frames on the wall simply place a festive image in front and you can swap it back after the new year. It will make the whole house feel as if it is the one-bit festive ball and it will give the illusion of magic to everyone who comes to visit you. Cosiness is the most important part of winter and now is the ideal time for you to make the house feel as warm, cozy and snuggly as possible. Think about changing the sheets on your bed for thicker ones, placing big cushions on the sofa downstairs along with blankets, and lighting candles in the evening for when you and your family are sitting together watching TV or playing games. As we mentioned above, these next few months are a partying season and they also have some of the most wonderful events of the year all in a short space of time. Now that you have got your home pretty much ready, you can add some extra festive items for each event such as Halloween decoraThanksgivingsgiving decor and a Christmas tree at the start of December. Bringing these next two seasons into the home is without a doubt the most fun of all and you can play around and make it your own. If you are planning on hosting a few parties for your friends and family this season you need to make sure that you keep on top of the cleaning and make the house feel spotless as much as you can. Even though your guests might not notice a bit of dust here and there, as a host you will notice everything and it is best for you to keep on top of it all so that it doesn’t all pile up over time. The house that you live in should always feel like a home. It should be comfortable, functional and beautiful no matter what you do in terms of décor and design. A home is about far more than just bricks and mortar; that’s what makes a house. What makes a home, though, is entirely different and it should be the place that you want to turn to at the end of a very long day. The biggest question is how you plan to do this. Colors. Your color palette is really important for the décor of your home. Soft palette colors in stone, biscuit and natural earthy tones can make your choices from home furniture stores really pop. You need to make your home look as welcoming as possible – but this means welcoming for you, not just guests. Natural colors make the light look fantastic, so stick with light and soft for maximum impact. Organic. The materials that you choose for your home need to be natural so that you can warm up the space that you’re in. If you have rather a concrete look, then organic materials are always going to win. Layer Up. Your home needs oomph. This means layering your rugs, your throws, your cushions and anything fabric as much as possible. It immediately looks cozy and warm when you do this. Picture Day. Plain walls are boring. Utterly boring. There’s nothing worse than big expanses of nothingness to look at. The best thing that you can do to make your home inviting is to add artwork, canvases, and photos to the walls so that you are closing up those blank spaces and making your home look like it has a life. Nature. No matter how many vases of flowers you have dotted around the house, it’s not enough. Think tall, leafy indoor plants and greenery. Nature from the outside can make your house instantly into a home. Lighting. Ceiling lights are all lovely, but lamps and dimmed spotlights can really set the mood of your home into calm and peaceful. Lighting plays a big part in the way that we feel about where we live. We need to be investing in the right light for each room, so what works for one space won’t for another. Be smart in your lighting choices, and you will always feel satisfied when you walk into your home. Your house should be more than just bricks and cement. It has to be somewhere that you feel at peace in, so choose your colors wisely and make sure that you think of textures when you buy new fabrics. Your home is going to be a place you never want to leave when you’re done with it! Unless you’re lucky enough to have an array of bathroom spaces in your home for your family to use; you’ll probably have a master bathroom space that the whole family has to share. If you’ve got a partner and kids; they can seem to take over the whole house with all of their stuff, and your bathroom will be no different. However, it’s important that you feel that you have somewhere you feel you can escape so that once you need to unwind, you can enjoy a bit of relaxation time. A long soak in a hot bath will ease the stresses of the week and give you some quiet time before you have to prepare lunch boxes and put a load of laundry on for the next day. However, if you’re surrounded by sports kits on the floor, random bottles of toiletries, and even the odd book or magazine; your pamper session might not be the serene experience you needed it to be. Therefore, you’ll need to ensure that you strike a balance in your bathroom, and have an interior with the adults in mind, that can accommodate busy family life. The following are some ideas and inspiration for those who need to share their bathroom with family members of all ages but don’t want to compromise on style. It doesn’t matter who uses your bathroom the most; you’ll need the essentials, like a shower, tub (if one fits), sink, and fixtures and fittings. Therefore, it’s worth investing in quality items that can withstand the wear and tear of family life, yet still remain chic and stylish. Luxurious and functional additions are always a great investment, so it’s worth looking into a variety of options, and ensuring that everyone can enjoy hot showers and baths. https://www.mrrooter.ca/ so that your new bathroom items will stand the test (and wear and tear) of time. Consider decorating with darker tiles or using a dark colored grout; this will help to hide the everyday dirt that family life can bring, before you have the chance to clean so that your bathroom will feel fresher for longer, and you won’t be staring at marks or smudges when you’re trying to relax. Just like in the rest of your home; bathroom storage solutions can provide the perfect way to clear up clutter (and all those toiletries previously mentioned) quickly and with ease. Wicker baskets and melamine boxes are great for placing under the sink or on the shelves of your bathroom cabinets and cupboards. Waterproof containers mean that you can tidy bath toys away in a flash, and swap them for a lavender scented candle to enjoy as you bathe. Perhaps invest in some towels for the adults, so you still feel that you have those luxury touches that will ensure your bath time experience is a treat. Ensuring that you have a haven to escape to after a busy day as a mom will ensure that you’re ready to take on that early morning tomorrow, and you’ll feel well rested and relaxed. Enjoy! August is here, and with it comes the last few weeks of summer before autumn leaves start to fall and everything smells like pumpkin spice. If you are starting to feel more of a chill in your house in the last few days, it might be time to start taking precautions and preparing your home for the colder months. Here are some of the ways you can make sure that your home stays toasty and warm in the winter. Before you do anything else, you might want to buy yourself the best Heat tape for pipes with thermostat and wrap up the pipes to your home. This is a job which many of us don’t even consider when warming up the house but it is an essential job which can make a big difference to your home overall. By wrapping your pipes you will prevent them freezing over in colder climates and this will ensure your home stays running smoothly all winter. Staying warm and toasty is partly about the atmosphere you bring into your home as well as the heating you switch on. Swap out the thin sheets for thick, winter ones. Break out your blankets for the living room again and light lots of candles in the evening to keep the home toasty and warm. You can think about also painting the walls a darker or warmer color because these colors keep in the heat more than lighter ones. If you want to be warm and cosy throughout the winter time you will want to make sure that you wrap up yourself as well as doing things in the house. A lot of the time you will find that putting the heating on all day is costing you a huge amount of money over the colder months and this can be avoided if you simply wrap up in a warm hoodie and deal with the chill in your home. It’s a great excuse for you to go out shopping if you need to stock up on warmer clothes! The easiest and most cost-effective way that you can keep your home warm throughout the winter is your insulation. In the home, you have several ways you can insulate the space. You can insulate the floors, the walls, and the roof. If you are able to do all three of these things you will see a huge difference in the warmth of your home throughout the year and you won’t need to use your heating as much as you used to. It can be a big task to get done, but once the insulation is there it will save a lot of time and money. One great way that you can warm up the whole house on a cold day is to make a warming stew which can cook in the house for the entire day. When you start making warming recipes like this you will be bringing more heat into the house and this can be a brilliant way of taking the chill off the space and allowing you to feel nice and toasty once more. It’s something that the vast majority of estate agents use as the major selling point. The kitchen is taking over the living room as the hub of the home. But if you are not using it to the best of your ability, and you have taken the approach to eat your meals in front of the television, or you are one part of a dislocated family that spends their time in different rooms, it might be time to revitalize the kitchen and make it the big draw of your home. What are the ways you can refocus the attention back onto the kitchen, and how can you do this? First things first, if you are eating around the television, albeit at the same time, are you really communicating as a family. Not to go all Godfather on you, but the best ideas can be made around the dinner table, over food. And the great thing about eating as a family is that you can learn to savor, not just the more vibrant discussions about what you’ve all done with your day, but also the quiet times. Some people feel very uncomfortable if there’s an extended period of silence, and, as a family, it’s something you should all be so relaxed in each other’s company, that you don’t even notice the silence. The fact is, get the family together, actually, ask questions to each other, and you’ve got a dialog going. Granted, it’s not always this easy, especially if you’ve got reticent teenagers, but the fact that you are all in the same vicinity together is probably one of the simplest ways to spend quality time together as a family in the modern age. And to follow on from the discussion aspect, if you are working your hardest to raise children who are thoughtful, independent, and question every little thing, you might be doing something right! One way to help encourage this further is to spark debate. It’s something that we see in movies a lot, which can spiral out of control into arguments, but it’s important to remember that debate is very healthy. Having a big table, and not just getting the family to sit around it, but also bringing guests in to have meals, and social gatherings, will make the kitchen the hub of the home. Of course, as we all know, when there are parties, the action is always in the kitchen. Take this as inspiration! But what if you have no idea how to maximize the space? You may have a small kitchen, or it’s impractical for everybody to gather there. Because the kitchen is one of the main rooms in the house that can impact the value positively, if you are ever considering moving on, or downsizing later in life, and your kitchen feels underwhelming, the chances are that a lot of other people will feel the same way. There are so many different styles you can implement, but also, the modern kitchen is the very trendy style at the moment. Kitchen islands, galley lighting and the various marble countertop options available to buyers make it a space for you to unleash your creativity. But likewise, you need to consider the practicalities of the space. If you have a small kitchen space, is this because you’ve got an island in the middle of the kitchen? And if you’ve been looking to fit a dining table in the space, but this isn’t feasible, you either remove the island and put the countertops around the edges of the room, or you transform the island into a breakfast bar. A breakfast bar is one of the biggest draws in modern homes because it’s usually the one space where families can physically congregate. So even if you feel that you’ve not got many options to get the family together, this is why the kitchen needs to be top of your priority list. If you have young kids, and they’re just getting to the point where they are figuring out who they are, their inquisitive minds need nourishing. If you are someone who spends a lot of time in the kitchen, either baking or cooking, it’s now time to bring your children into the sacred area and let them get their hands dirty. As parents, we can all feel that we’re doing a lot in terms of cleaning the house, and we wish that the children would lend a hand once in a while, and it’s at a young age, that you should instill this habit. Not just for the fact that it will make life easier for you, but it will encourage them to be more independent. Doing the dishes, drying them, cooking, or even very minimal meal preparation, is all something that we can introduce our kids to, so they can feel part of the process. It’s just good parenting to let your kids help out. Gradually, as they become more skilled, you can let them take over a little bit more, and as they get older, you may put your feet up and relax while food is being done for you! Granted, this is in an ideal world. But, if you have kids that want to go to college one day, you’re not going to be there to clean up after them, and so, the kitchen space is the ideal place to school your kids in the essentials in life. There was a time that the living room was the hub of the home, and we would all sit around, mouths agog, staring at the television. Thankfully, it’s getting to the point where the family is naturally congregating to the kitchen area. So if you are concerned that your family spends too much time apart, or you are trying to inject a bit of pizzazz into your home for the benefits of guests, or even just to raise the value of the house, the kitchen has it all! Are you a very busy person? If this is the case, you might not have enough free time to clean your home or office by yourself. You will need to start looking into hiring trained professionals to do all of your cleaning for you. There are many companies that are in the office cleaning service. This is a very competitive industry. You should use this fact to your advantage and be very picky about who you are going to hire. You should never simply hire the first cleaning company you come across. Here are the things that you need to look for so you can find the most reputable cleaning company in your area. 1. What type of screening and training do the employees of the cleaning company have to go through before they get hired? You will be letting complete strangers into your home when you hire a cleaning service. Therefore, you should inquire what steps the company has taken to screen their employees to make sure they are safe to invite into your home. Have they been subjected to a criminal background check? You should insist on this from any company you hire. You also need to confirm that each employee has been thoroughly trained how to operate the equipment they will be using. 2. What sort of rating does the cleaning company have with the Better Business Bureau? You can also rely on the BBB to do the vetting for you when it comes to hiring a maid service Denver. They will have many cleaning services listed on their site. You can read their company profile to find out about their history. You can also check their rating to give you a good idea about the quality of cleaning that you can expect if you hire them. 3. Always get references from a cleaning company before you make a final decision. You need to contact the references given to you by the cleaning company. This will allow you to talk to people who have hired the company in the past. Find out what type of cleaning they had done. When you buy a home you will likely not have that much furniture to your name. As a first time buyer you might have been lucky enough to get some hand me downs from family and friends, but now the rest is up to you. Buying furniture for your first home can be a struggle and here are some helpful tips to make it easier for you. First of all, you have likely just spend your life savings on a home, and you might be dreaming up ways to increase credit score to make sure you don’t have to get into debt. Don’t spend a huge amount of money on furniture! Even if you want to buy the best furniture straight away you need to consider the price you can afford right now. Stick to charity shops, online auctions and second-hand stores for the time being, and even if you decide to replace the furniture in a few years at least you have had some use out of it now! When it comes to choosing furniture for your Home you are always better off going for the most neutral tones that you can. When you first move into a house you have no way of knowing what colors you will paint the rooms, and this means that you don’t want to be buying lots of bold coloured furniture right away. Stick to simple colors so that when you do decorate it doesn’t matter! When you come to buy your new furniture for the home, make sure you write a definitive list of what you need and when you need it. Don’t just buy random pieces of furniture for the sake of it, make sure that you buy things you genuinely need in the home and make sure that it has a place in your home. If you are to be buying something large for the home such as a bed or a sofa suite, you need to think about the size of the room and where it will fit. Always make sure that you bring measurements with you when you go shopping for furniture and bring a tape measure with you so that you can test the size of the things you are buying. The last thing you want is to be struggling with fitting your new sofa into the lounge and having to create an obstacle course to walk around the room! If there is anything you should invest in for a new home, it’s the bedding. Bedding is incredibly important because it will determine your quality of sleep each and every night. Make sure that you invest in a good duvet, pillows, and sheets so that even if your bed frame isn’t the best, you can still have a great night’s sleep. You can also invest in a good mattress if you have the money to, and they always have offers on them in places such as Costco. How Can You Make Your Home Happier? When returning home from a long day, you should feel happy. You should feel some of the day’s weight and stresses fall away as soon as you spot the front door. Your home should be your safe place, a haven. What if that isn’t what your home is to you right now? There are ways you can make your home happier. Not all of them will apply to you, but we’re going to discuss some of the best ways to go about it here. Take a look and you’ll finally feel like your home is your own personal, positive space to feel completely at ease and like yourself. Start by personalizing your home. Use photos of your loved ones, and other mementos/souvenirs to remind yourself of all of the great times you’ve had and the wonderful people you know. 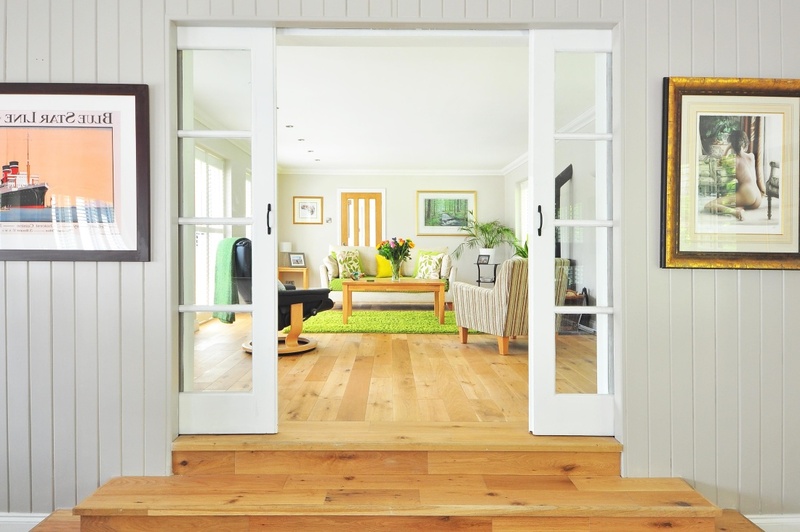 Without personalizing your home, it may as well be a show home. If you’re not planning on selling it anytime soon, make it yours with personalization. Make memories in your home to make it a happier space. Have your friends over for coffee. Arrange play dates for your kids. Have a lot of fun in your home and it should become more of a positive space for you. Being friendly to your neighbors can make things a lot easier. You could even invite them over when you have friends over. This allows you to get to know them better, and you have the added bonus of not worrying about noise complaints! You don’t have to become best friends with your neighbors, but it’s always nice to be on ‘hello’ terms, and smiling when you see them. Plus, it makes the street safer as neighborhood watch becomes stronger. Making your home as healthy as possible takes time, so break it down into baby steps. Start by making sure the basics are covered. One important aspect is ensuring you have healthy drinking/bathing water. Tap water can contain more contaminants than you’d believe, and they are bad to bathe in, let alone drink. A whole house filter is a great solution. You can find out more on Waterfilterdata.org. 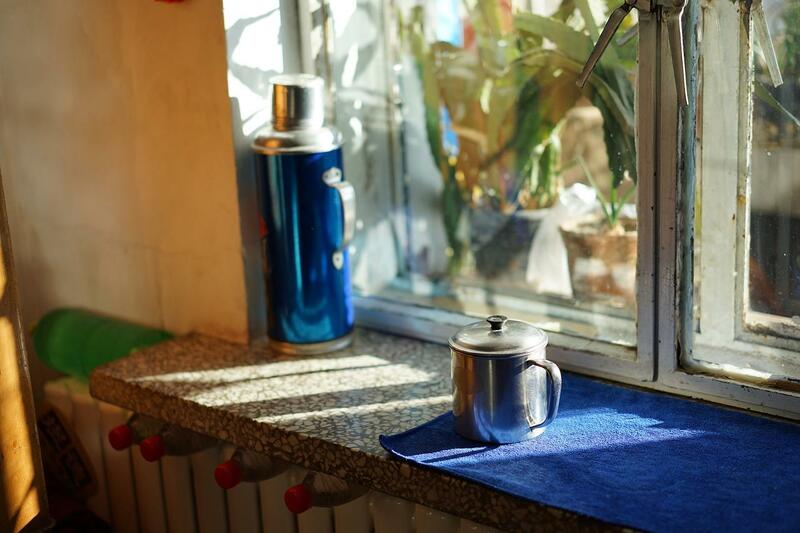 You can also make your home healthier by getting rid of the toxic carpet, letting in more natural light, and incorporating things like plants and salt lamps. Really take your time to make your home look amazing. An aesthetic home that you just love the design of will make you feel happier in an instant. Look at Pinterest and come up with a plan, and take your time selecting things like artwork and accessories. Don’t rush, or you’ll be unhappy with the finished result. If you really want to nail it, hire a professional interior designer! Finally, aim to make your home a no negativity zone. Shut down negative thoughts and narratives, and ensure you only bring happy, positive things into space. This may not always be possible, but you will often find you are thinking and talking about unnecessary things that only bring the atmosphere down. Do you have a never-ending list of jobs to do around the home? Summer can be an excellent time to tackle them. The summer months offer better weather, more daylight hours and plenty of sunshine to help make home improvement tasks easier than at other times of the year. If you’ve got a home bucket list you’d like to achieve, then make a plan to tick some things off during before summer’s out. Here are some great ideas for home improvement projects to carry out during the summer. Getting your backyard into shape becomes much more important during the summer. If you want to be able to relax and enjoy your backyard space, now is a great time to do something about it. Talk to a landscaper about the possibilities or take it on yourself as a fun project for evening and weekends. Take a look at some beautiful garden trends to give you inspiration. Is your roof looking a bit tired and in need of a refresh? Summer conditions make it an ideal time to tackle the task. Upgrading your roofing and guttering can change the appearance of your home and make it look modern and refreshed, and it’s the perfect investment if you’re hoping to sell your house in one day. Siding expert the Siding King has some amazing home transformations to show you that can help you discover the possibilities for your own home. A refreshed front door and window frames can transform the exterior of your home, and summer is certainly the time to do it. Set aside some time one evening or weekend morning to carry out those much-needed paint jobs – the coats will dry quicker, making it a simpler job that won’t take up too much time. You haven’t lived until you’ve tried a power washer on your drive, decking and front porch. Power washers are great for giving your home a much neater, fresher appearance, and you’ll be done in no time if you head out during the summer months. Pressure washers are a worthwhile investment, so take a look at what’s available in the summer sales to grab a bargain that will transform the outside of your home. Summer is a good reminder of how hot your home can get and why some install air conditioning could be useful. When you’re feeling the cold in winter time, air con will be the last thing on your mind, so don’t put it off any longer and get it installed. You’ll be glad you did during those unpredictable summer heatwaves. Carrying out home improvements during the summer can feel much less of a chore than at other times of the year. If you’re hiring contractors, you’ll have more excuses to be out of the house during the day – meaning you’ll be affected much less by noise and disturbances. What will you do to your home this summer? Start planning your next home improvement project now! Are you tired of being in the dark when you’re in your home? There’s nothing worse than a dim home, especially when it doesn’t have to be that way at all. Even if it means doing some work and making some big changes in your home, it’ll be worth it if you manage to make your home a lighter and brighter environment for yourself and your family. The point is that you don’t have to settle for a dark and dull home. So which changes do you need to make in your home for you to make those interiors lighter? That’s a question with so many different answers, and we’re going to talk about them today. Some of these tweaks are very minor and can be carried out in any home almost immediately. And others are a little bigger and take more effort and implementation. Read on to find out about all of them. First of all, you should try to take the heavy curtains out of your home. These only end up blocking light from entering your home, even when they’re open. That’s because they block light at the sides. It’s a much better idea to replace these heavy curtains with lighter curtains or, ideally, blinds. It’s a simple thing to do but it will immediately help the amount of natural light flowing into your home during the day. So start out by making this change. Of course, natural light is the most ideal form of light and this is what you should be looking to make the most of in your home. But it’s far from the only type of natural light that you should be making use of. By using natural sources of light, you can make sure that every area of your home is given the light it needs. Small lamps and spotlights can add something new to the lighting setup in your home, so these options should be considered. By opening up the space in your home and helping each room flow into the next, you will make the whole place seem lighter and generally more welcoming, which has to be a good thing. When you have each room flowing into this next, you will also find that you can share the light between the rooms, preventing anyone room from feeling too dark. It’s something that you should start to work on an experiment within your home as soon as possible. One of the big problems that people have in their homes is that they want the natural light and then they design their room layouts in ways that directly get in the way of that light. So you should be particularly careful with any storage furniture you have in your home. It will become more of a hindrance than a help if it’s stopping the natural light from getting around the spaces in your home adequately. If you have trees outside your windows, it’s possible that they’re blocking sunlight that would otherwise enter your home. You can get these trimmed or even removed from outside your windows. Companies like ABC Home & Commercial will be able to help you with that, so don’t be put off by the prospect of getting this kind of work done. It could be one of the best changes you make regarding the natural light entering your home each and every day of the week. Choosing art for your home’s walls can be tricky because you don’t want to choose the kind of art that’s going to make the room feel dark. That’s why you should probably reject works of art that have deep and dark colors dominating them and find artworks that are generally lighter and brighter in tone. You’re sure to find something that’ll be suitable for your home. You just need to think practically when buying art, which is admittedly not always easy to do. 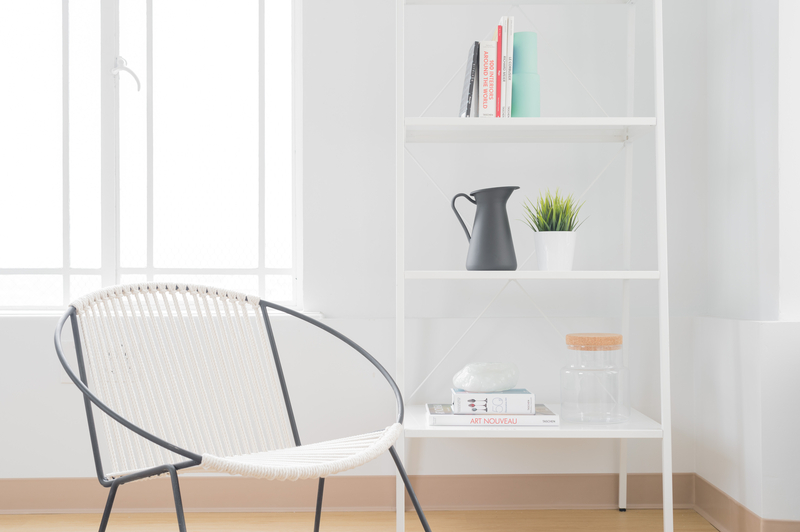 The furniture you choose in your home is obviously going to have an impact on how light or dark the place feels, so try to choose light-colored furniture if you possibly can. This will help you to make sure your furniture and decor don’t drag down the overall aesthetic of the rooms and make them darker than they need to be. It’s a simple shift, but you’ll be surprised by how much of an impact it can have on your home’s appearance. Hanging mirrors is a good way to make space feel better than it really is. And it can also be great when you want to reflect a limited amount of light around the spade. So if you’re struggling to find sources of light, creating more of them is rarely as doable as having more mirrors hanging on the walls of your home, so go or it. No one wants to spend their time in a home that feels like it’s always darker and duller than it should be. If this is something that’s becoming a problem for you in your home, you need to take action as soon as you can. All of the ideas that we’ve talked about here will help you to make your home lighter and brighter, so put them to work in your home. What’s That Constant Ringing In My Ears?